There is a dog for everyone, and you need to find the one that matches your lifestyle and personality. Don’t just buy a puppy because it’s cute, when you don’t know the personality and behaviors of the puppy’s breed. When it comes to mongrels, you should consider the behaviors of all the breeds mixed in, though your puppy’s personality may still come out to be a surprise. The more experienced dog owner you are, the more options you will have. There are many quizzes and online resources that can help you narrow down the breed that would suit your family. This requires you to reflect on your family’s attributes and your personal situation. Some breeds need a lot of exercise than a walk around the block twice a day. Are there any dog parks or areas your dog can run free? Small and medium dogs are typically great for city dogs, but not all small dogs are apartment-ready. West Highland West Terriers, for instance, are hunting dogs, rather than lap dogs. Know the breed, know the history, and find a dog that is a perfect fit for your home. Once you have a list of breeds that are good for your family, it’s time to decide whether to adopt a dog, or buy a puppy from a breeder. In general, you should avoid going to pet stores to pick up your puppy, as the puppy mill process is cruel and exploitative. Instead, go to local breeders, and see the puppy’s dam (mother). You will be able to see her personality for yourself. There are listings on the Internet for your area, so finding your new puppy should be easy. Adopting a dog, however, gives an animal a second chance. Sometimes you will even find puppies at the adoption center, so when you’re choosing a new dog, consider looking there first. Depending on how old the puppy is when you first go to visit, you might have to wait awhile before you bring him home. During that time, you should stock up and prepare for your new puppy. Owning a puppy is a financial responsibility. Not only do you need to pay the breeder (or the adoption agency) but you also need to regularly go to the vet. Puppies need to get vaccinated to be protected from many common diseases, and your vet should also check your puppy over to see if there are any underlying health concerns, worms, or parasites that the vet needs to get rid of. Your new dog will need a few things. If you already have these things at home from a previous pet, then great! If not, head down to the pet store to pick up things like a dog bed, a water and food bowl, a leash, collar, and some toys. Remember you’ll have to get collars in two different sizes, since your puppy won’t be able to wear an adult’s collar, no matter the breed. On top of getting ready for your puppy’s new life, you also need to choose its new name! Typically, the rule of dog names is that they should be short, and easy to pronounce. That way your dog will be able to easily distinguish their name and you’ll have an easier time shouting it out if he ever gets too far. Regardless of whether this is a puppy, or an adopted adult, you need to train them. This means training them to respond to basic commands, but it also means teaching him the ground rules for the house, like don’t eat the plants, or don’t go up on to the couch. You need to be consistent and firm when it comes to training your new pet, so that they learn the rules instead of getting confused. Further, aim to reward your dog with Betsy Farms treats instead of punishing them. Your training will go much more smoothly. Once you have your new pet at home, it’s time to take care of him and train him. Another way you should prepare is to plan who is going to be responsible for what. This dog is the family dog, and therefore the whole family should be involved in taking care of him. Make the tasks age-appropriate. For instance, give your 10-year old the responsibility of feeding your new dog before he goes off to school, and give your teenager the responsibility to walk the dog after school. That way you can walk him in the mornings and feed him in the evenings. The more the whole family is involved, the more the dog will love every one of you. 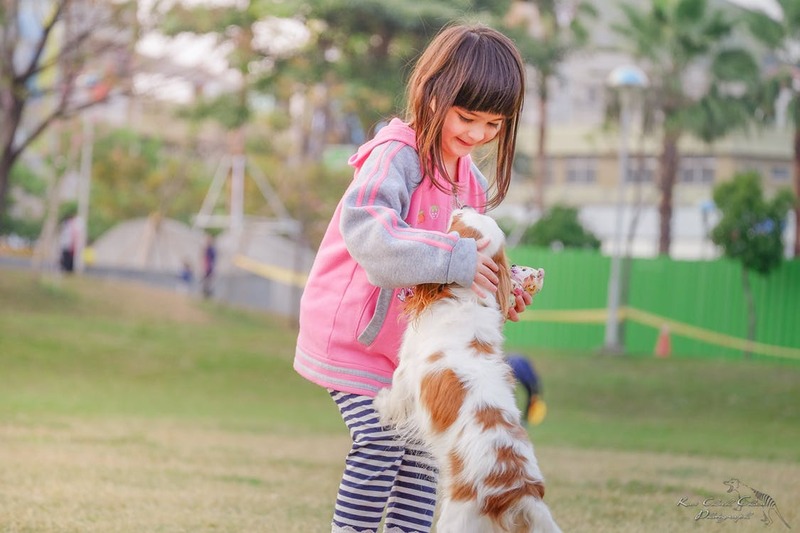 Dogs and children alike thrive on routine. That is why you need to keep a strict schedule. The more scheduled his day is, the better he will behave because he knows when his needs will be met. Research and ask your vet what the ideal diet for your dog’s breed it. Puppies should typically get puppy specified food, for instance, which is high in calories to give them the energy to grow. Your new pet will be a great addition to the family. Dogs are loving, fun, and incredibly loyal, and they make the perfect companion to everyone.